Violent crimes involve murder, mayhem, assault with a deadly weapon, stalking, animal cruelty, resisting arrest, criminal threats and a host of other crimes where one uses force or threats of force to injure or even kill another. The victim’s personal dignity and health is violated. It is usually a personal, specific intent type of crime, although it can also involve callous disregard for the safety of others, such as in arson. In today’s environment, technology allows greater documentation of such crimes. Store security videos, cell phones (recording, texting, e-mails and the social media posts) and computers record a great amount of evidence. All violent crimes are taken seriously by judges, district attorneys and police. Some such offenses are strikes, meaning the sentencing can double or lead to indeterminate sentences of a minimum of twenty-five years in state prison. Our office has handled numerous violent crime cases and can provide you with expert counsel in handling your particular case. For your convenience we have categorized our violent crime case results to give you a clearer understanding of the cases our firm has handled previously. If you want to read summaries of any of our firm’s selected Violent Crimes cases, click on the following case summaries to read a detailed description of each case. Violent crimes are often “victim-driven,” meaning prosecutors are greatly influenced in how they negotiate by how hurt or affected the victim claims.As the above results indicate, often the victim exaggerates the injuries or the emotional injuries, but in other cases, especially when there are medical records and photographs, exaggeration is not an issue.This is also true in animal cruelty cases. Criminal threats is one of the more common violent crimes we defend.Often called “terrorist threats,” this type of case usually involves some type of underlying provocation by the victim and, sometimes, mental illness issues with our client.This crime, prohibited a Penal Code § 422, is a wobbler, and is often filed as a simple misdemeanor when it is a first-time offense and often, seemingly automatically, as a felony if the client has any prior criminal history. Prosecutors sometimes have problems of proof when it the crime is merely based on a “he said, she said” factual scenario.Such cases are rarely filed.It is more common when our client texts a criminal threat, e-mails it, posts it on Facebook or leaves a voicemail (sometimes dozens).Then the intent element is more easily proven, but the timing of the threatened harm is often vulnerable to our attack. Other offenses, such as mayhem, battery and attempted murder are often cases wherein our focus is on “damage control,” unless there is a legal issue such as police misconduct (a Pitchess motion can help with this), prosecutor sandbagging with the production of evidence (a discovery motion) or a motion to reduce the offense from a felony to a misdemeanor (a Penal Code section 17(b) motion).When such issues arise, we often use the motion to not only argue the issue for the judge’s decision, but to give the judge a sense of the good character of the client, or at least the mitigating issues in the case that make our client look less heinous. On the most serious cases, a private investigator may be involved from the start, canvassing the area of the alleged incident to find other witnesses and to rebut or undermine the police claims.DNA and fingerprint evidence can become issues, necessitating experts. The work of such a private investigator can make strikes under the Three Strikes Law less likely.Such an investigator can often help us better understand the factual background of the case, permitting us at trial to better argue why unduly prejudicial evidence must be excluded from exposure to the jury due to its ability to inflame the jury’s emotions. Often, the psychological health of our client or use of alcohol or drugs affects resolution of the case.Our client may need a psychological evaluation under Penal Code § 1368 if there is a doubt about our client’s ability to understand the nature of the proceedings and contribute to his defense. 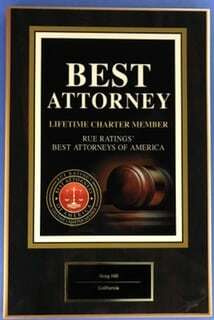 Lastly, restitution for the victim’s damages can play a significant role in how the case is resolved.Most commonly, our client can never afford payment for the medical expenses or psychological damages, however, when the client can, the calculation of such damages is hotly contested.In many cases, the victim may hire an attorney to maximize the damages and even be entitled to attorney’s fees for doing so.The effect this attorney can have on resolution of the case is often quite negative.Our office has extensive experience in this area, so for us, we feel confident cross-examining the witnesses involved in damages.